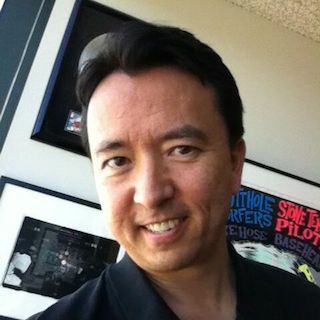 Steve Stewart has more than 25 years of professional experience in the music, and new media industries. He is the former personal manager of Grammy Award winning, multiplatinum alternative rock band Stone Temple Pilots. Under Steve’s management, the band’s worldwide record sales exceeded 25 million records, generating more than $500 million in gross revenues. As CEO of Steve Stewart Management, he secured lucrative major label record and publishing contracts on behalf of approximately 20 recording artists with companies such as Sony Music, Warner Bros. Records, Atlantic Records, Capitol Records, Disney’s Hollywood Records, A&M Records, Geffen Records, Elektra Records, American Records, Maverick Records, EMI Music Publishing, Famous Music Publishing, Rondor Music, Warner Chappell Music Publishing and Universal Music Publishing. Steve has held Co-Founder and COO titles at business marketing aggregator, GoYodel, and sports social video app, SportsBuddyz, and helped establish crowdcasting startup, SURKUS, as their Head of Business Development, securing long-term corporate clients such as Live Nation. He also head Business Development for a Top 25 YouTube channel, negotiating deals with GoDaddy, DC Shoes, RTV, and Guthy-Renker, among others. Steve has BA in Political Science from UCLA.